(CN) – A new study illuminates the dangers of playing tackle football at an early age, finding those who play before age 12 experience an earlier onset of degenerative brain disorders. Researchers at the VA Boston Healthcare System and Boston University found that among 211 football players whose brains were studied after their death, those who began playing before age 12 had an earlier onset of CTE by an average of 13 years. CTE, or chronic traumatic encephalopathy, is a degenerative brain disease found in athletes, military veterans and others who suffer repetitive head trauma over a period of years. The disease can cause behavioral problems, mood swings and trouble thinking clearly, and can worsen and develop into full-blown dementia. Recent studies have shown football players, both professional and amateur, have high rates of CTE. This latest study shows the earlier one starts playing, the earlier the disease appears. “It makes common sense that children, whose brains are rapidly developing, should not be hitting their heads hundreds of times per season,” said Ann McKee, chief of neuropathology at Boston VA Healthcare System. It’s not relegated to CTE either, according to McKee. 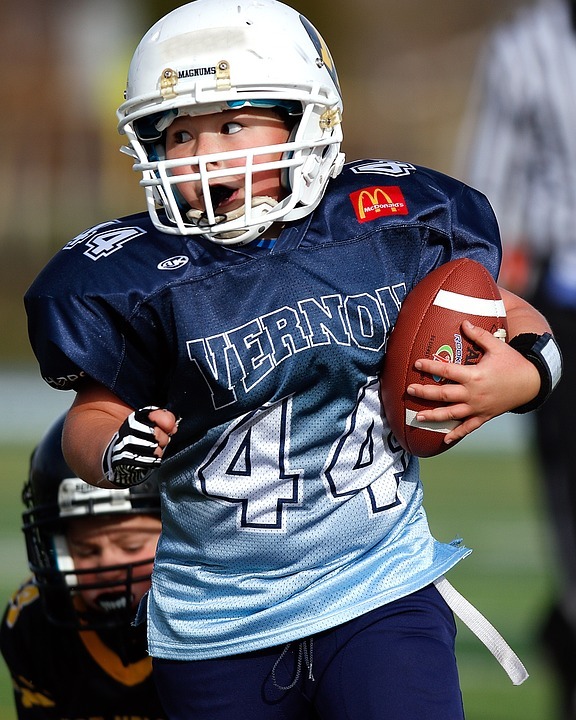 Allowing children to play tackle football makes them susceptible to a host of neurological diseases that originate in the brain, according to the study. The study included 246 brains that were donated by the families of deceased football players for study. Doctors identified CTE in 211 of the brains that were donated. But more alarmingly, among the brains that showed evidence of CTE several had signs of other neuropathy including severe brain ailments such as Alzheimer’s disease. “Youth exposure to repetitive head impacts in tackle football may reduce one’s resiliency to brain diseases later in life, including but not limited to CTE,” McKee said. Of the 211 individuals whose brains had CTE, not all played professional football. While 138 played professionally, 64 played at the college level, 2 played semi-professional ball and 7 did not play beyond the high school level. McKee and the team noted that while playing earlier in life correlates with earlier onset of CTE, it does not necessarily mean the progression of the disease is more severe, or that playing before age 12 necessarily means the development of more severe brain pathology is likely. The research adds to a growing body of study about the nexus between playing football and cognitive, emotional and behavioral disturbances later in life. While researchers are clear about the data they have regarding the brains already donated to the neurological center, they are reluctant to extrapolate the data to the broader population. The study was published in the online journal Annals of Neurology. The National Football League has come under increasing scrutiny as it grapples with what some say is an existential threat to its athletic product. Recently, the NFL has refined its rules about using the head in tackling situations and levied heavier penalties and fines on players who inflict head-to-head hits in game situations. But critics wonder if it’s enough. Monday’s study adds doubt as to whether tackle football is safe for children. But some neurologists say the link between youth tackle football and the development of CTE is not clear-cut and more studies are needed before policy or medical guidance for parents can be developed.